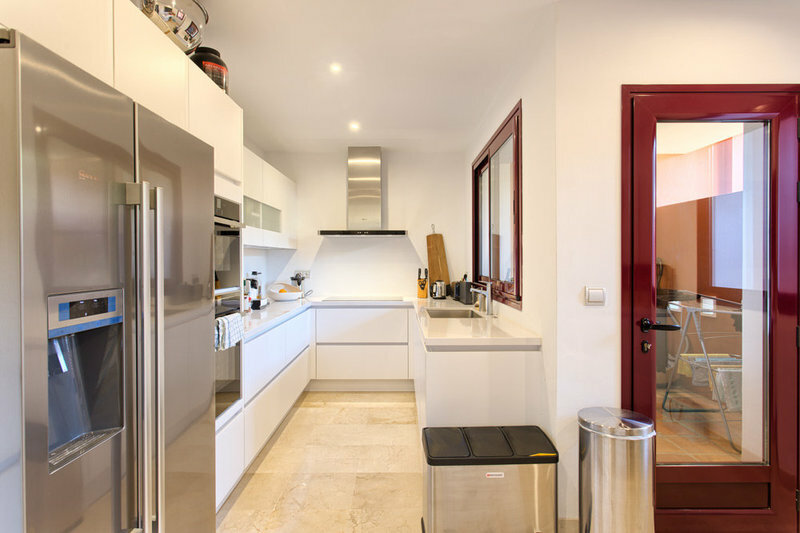 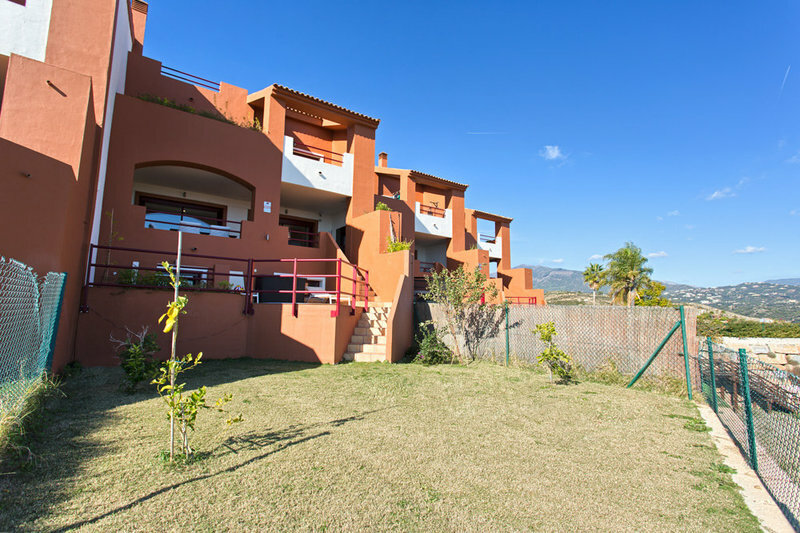 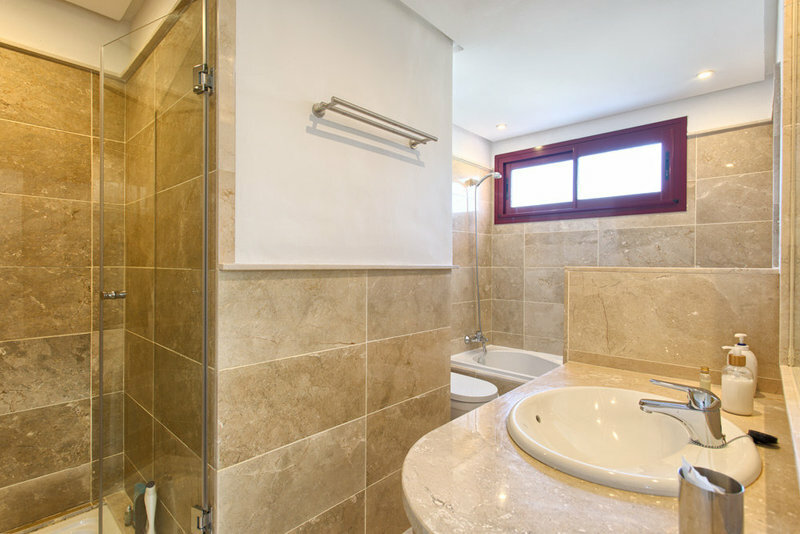 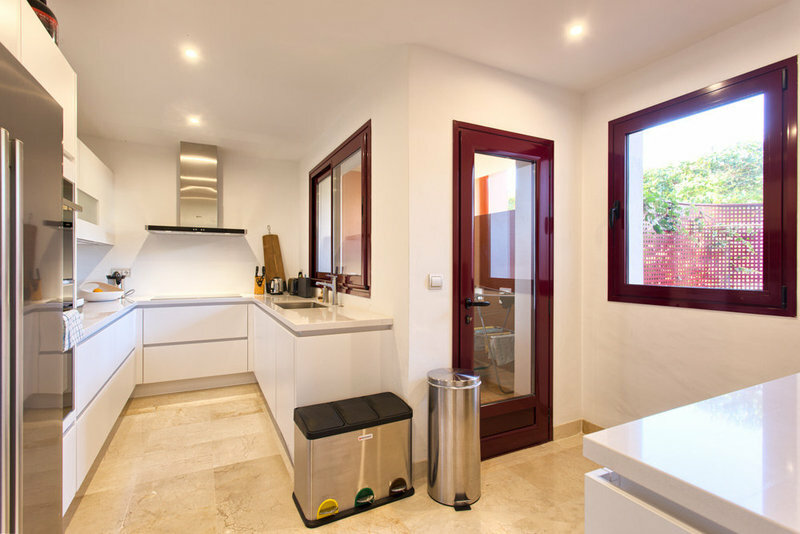 Modern townhouse in Benahavis for sale (Los Jaralillos). 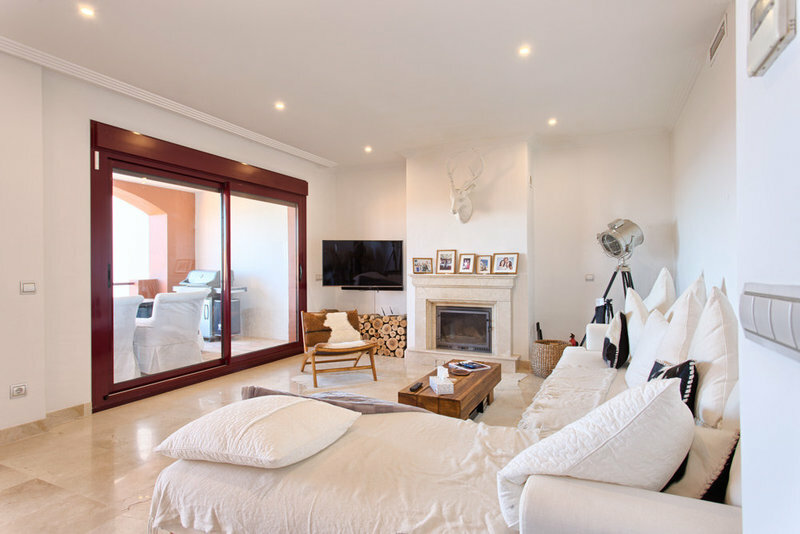 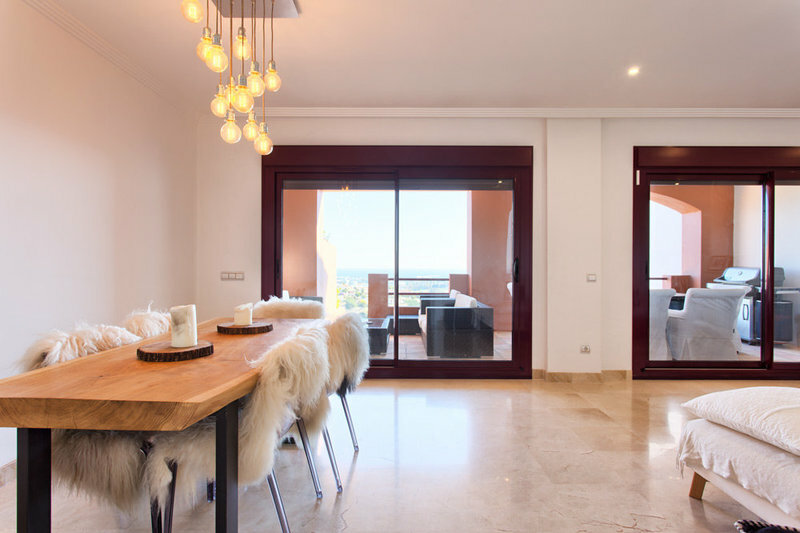 This modern and nicely decorated townhouse is located in urbanization Los Jaralillos next to La Alqueria Golf in Benahavis. 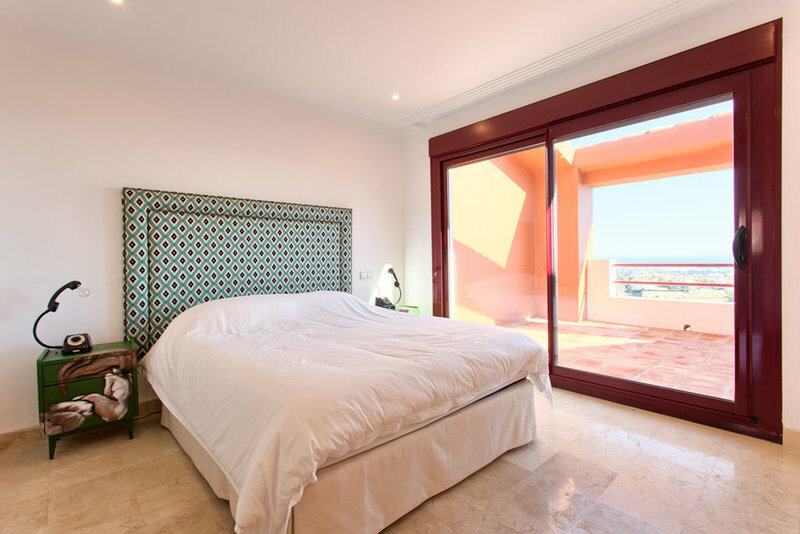 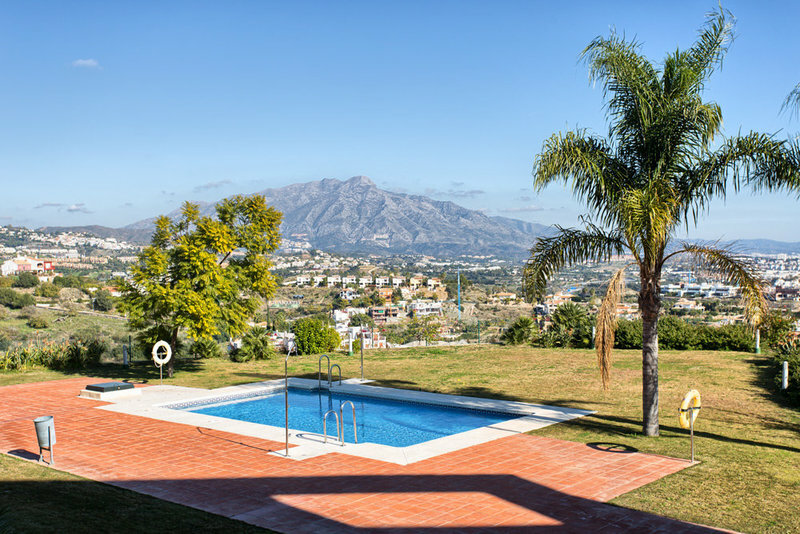 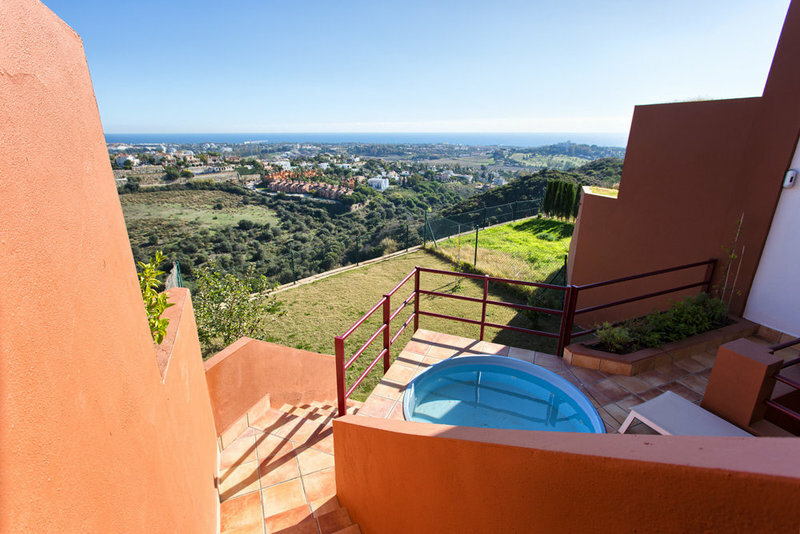 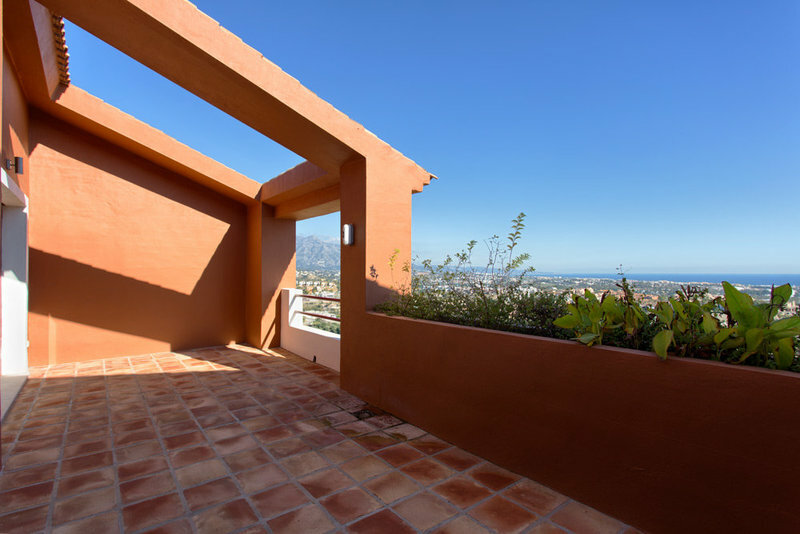 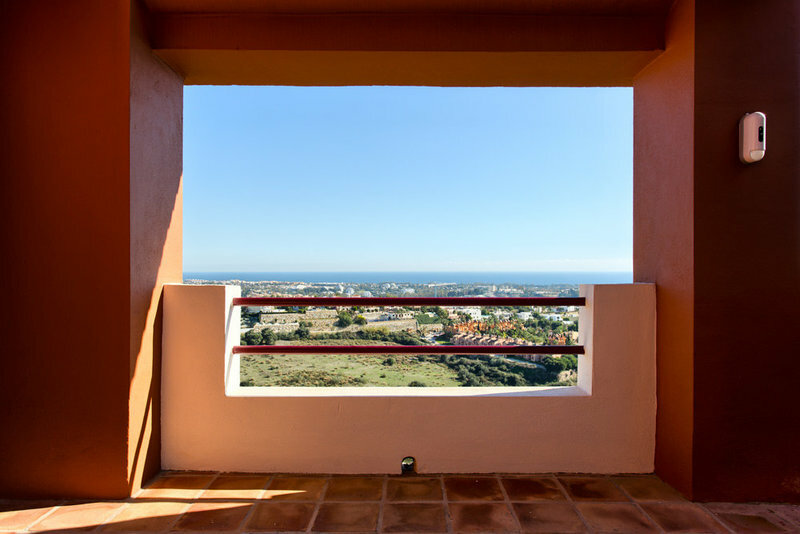 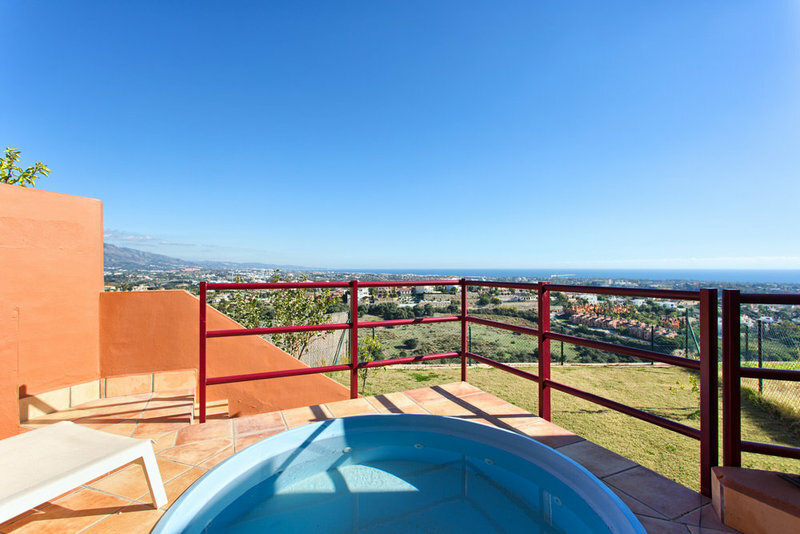 Los Jaralillos is a very secure urbanization with three communal swimming pools a large garden and most importantly: panoramic sea and mountain views. 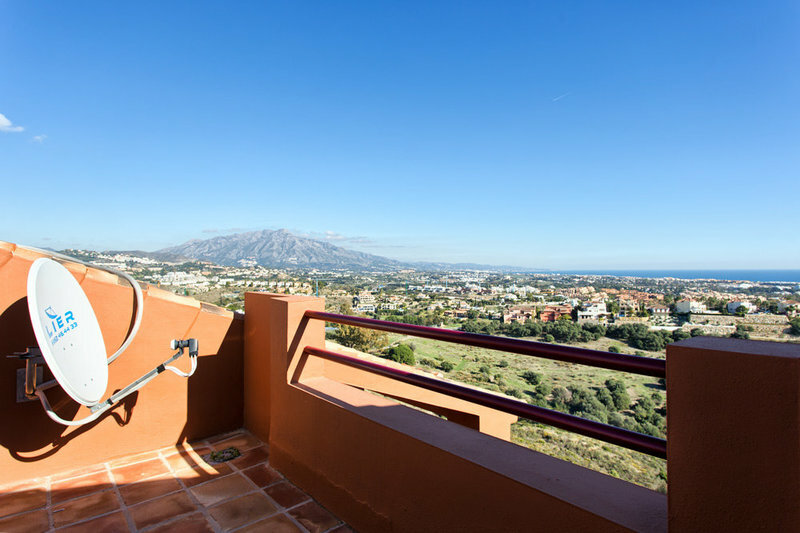 Views you can enjoy from most parts of this townhouse we have for sale as well. 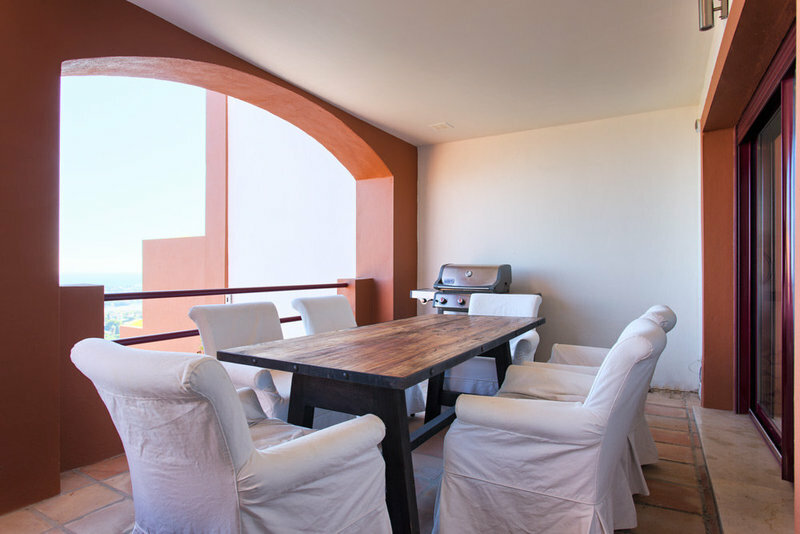 It consists of no less than 4 floors. 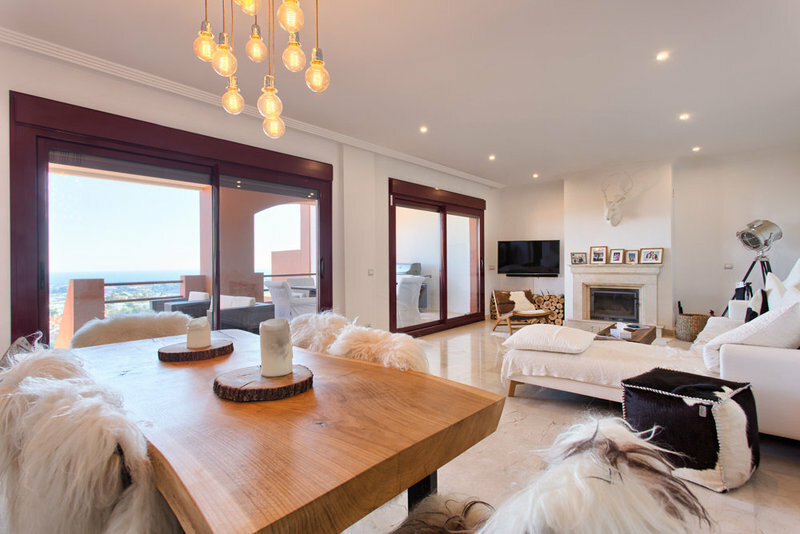 The main floor offers a bright living/dining area with fireplace, fully fitted kitchen and guest toilet. 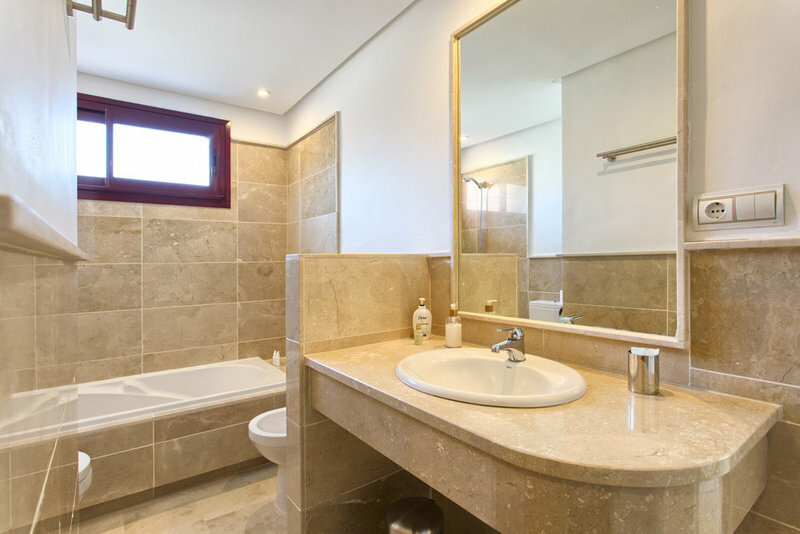 This floor has direct access to the terrace and a lower terrace with jacuzzi and private garden. 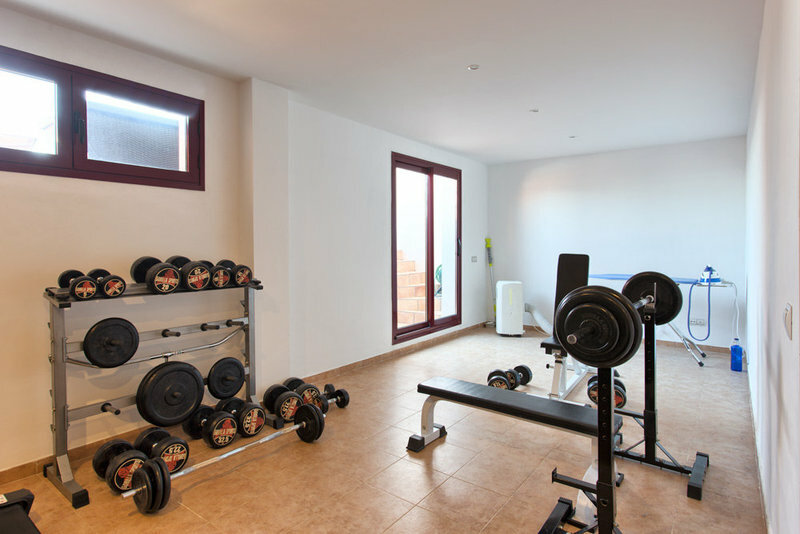 Downstairs you will find a large room which is now used as a gym and a 2 car garage. 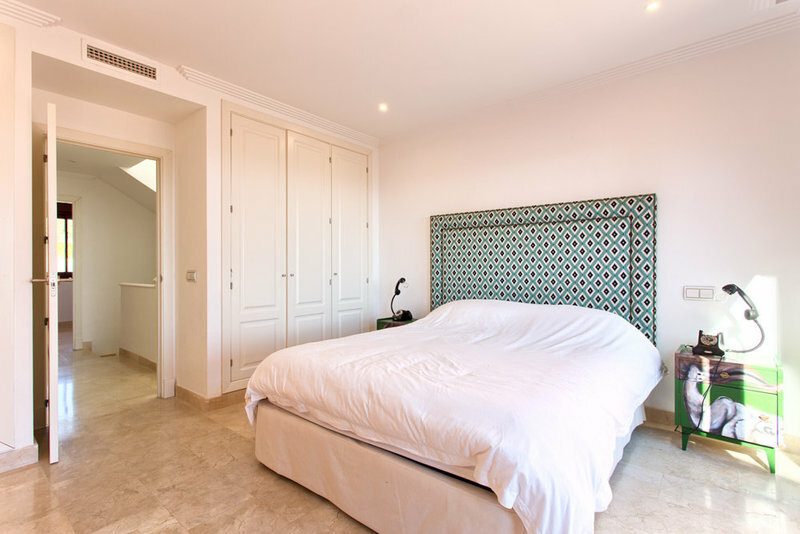 Upstairs you will find the master bedroom with ensuite bathroom and two guest bedrooms sharing one bathroom. 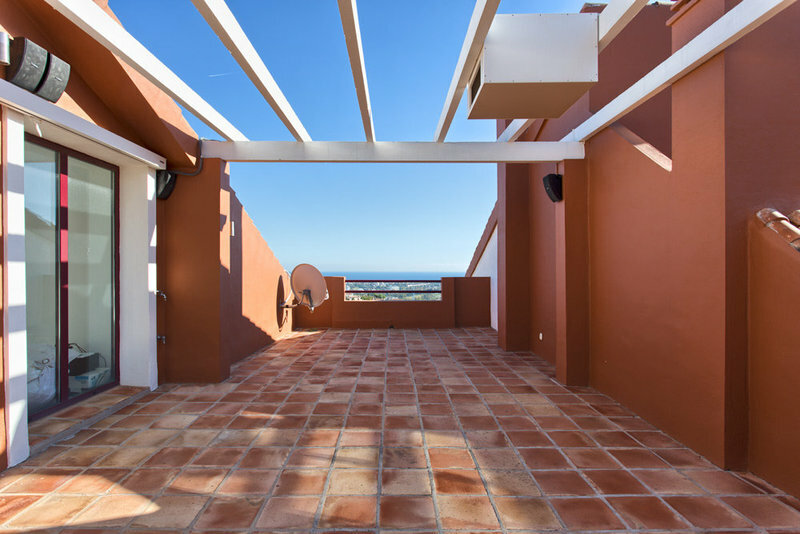 The top floor offers a large and private roof terrace with again beautiful views of the entire coastline. 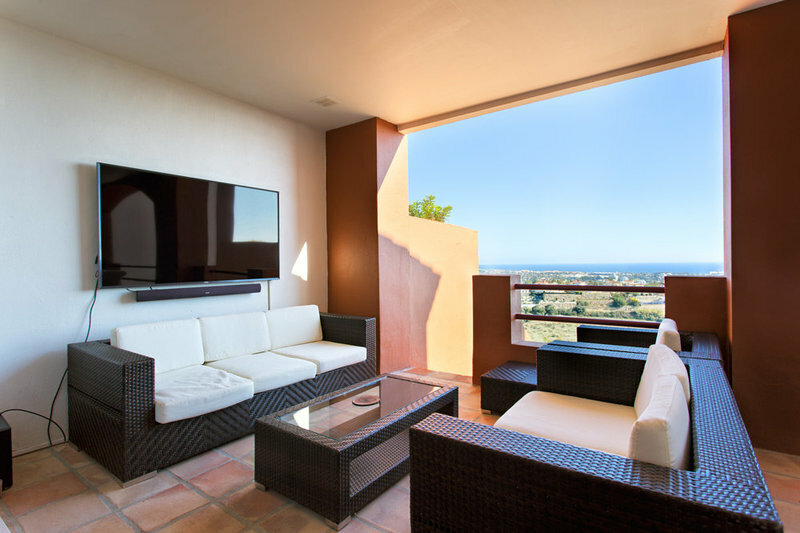 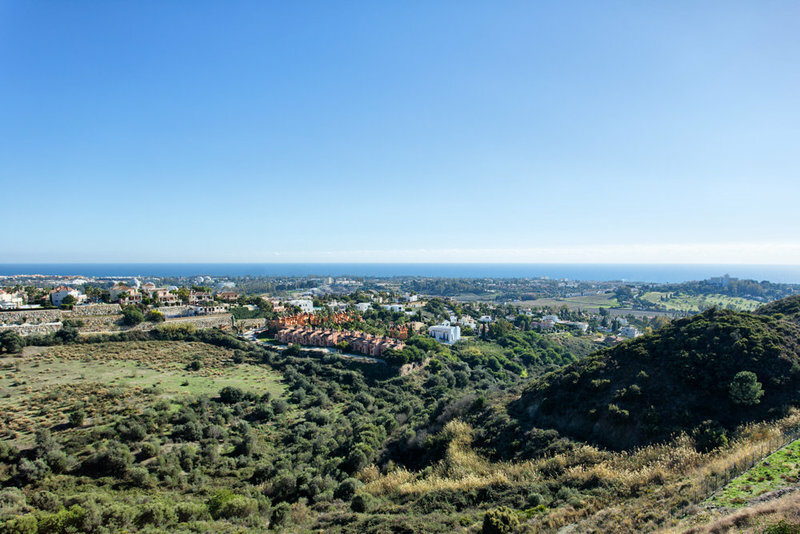 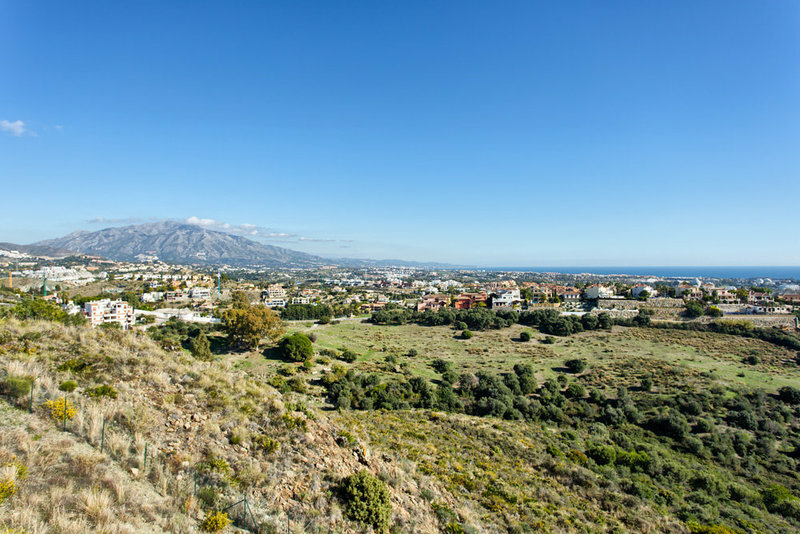 It’s less than a 10 minute drive to the beach, Marbella can be reached within 15 minutes and Malaga International Airport is a 45 minute drive.